Another long-awaited success for the Trust... negotiations have been completed with the new landlords of the Peterborough Arms and a lease has been signed: the Trust welcomes Brendan and Michelle Watkins, who have moved into the Peterborough Arms to prepare for opening in October. We are looking forward to working with them and wish them every success. 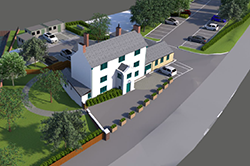 At the same time, with completion of the legal agreement for the change of access to Peterborough Farm, we are finally able to start the DLCC development and the lock side garden landscaping. 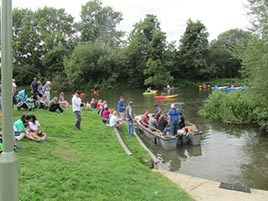 Boat trips and a Trust event stand were part of our efforts over the successful weekend on and around the River Avon at Melksham on September 1st and 2nd. Trust volunteers and members of WRG completed the Stepping Stone bridge work by laying the coping stones on top of the bridge walls. Well done all! 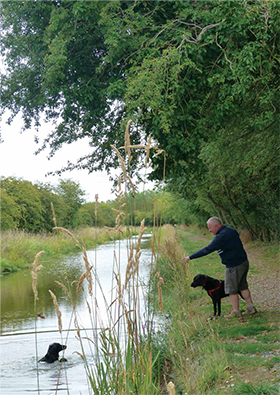 August saw a continuation of low water in the Westleaze section of the canal leading to the suspension of all trips during August. 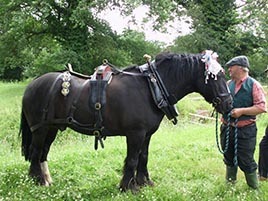 The welcome rain in the second half of August has meant that trips have now started again from Kingshill and will continue every weekend in September subject to demand. Our traditional and ever popular Santa trips are being planned... so start getting excited! See www.wbct.org.uk/experience/take-a-boat-trip for more information. 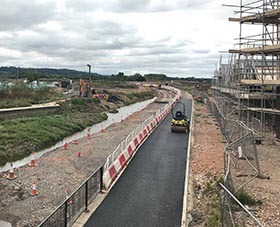 The towpath surfacing opposite Waitrose at Wichelstowe and the footbridge foundations are very obvious signs of change here. 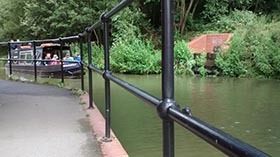 The footbridge will bring people over from the new Canalside centre and the Hall & Woodhouse pub to the Waitrose side of the canal next to our landing stage... many thanks to both organisations for their support over several years and their financial contributions to the development of the landing stage. Departs from Chippenham Town Centre at the Buttercross Market Place SN15 3HD and follows the original route of the canal from the original wharf (the bus station), ending at Pewsham Wharf for a welcome cup of tea and cake. Guided walk of approximately 1.5 to 2 miles in length. 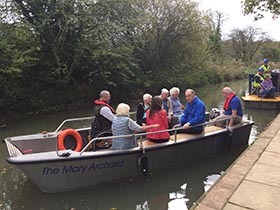 Boat trips are also available at Pewsham Wharf on the Mary Archard from 10:00am - 3:00pm next to the pop-up café where there will be refreshments available. There is no charge for these events, but donations would be very gratefully accepted. Trust Executive Manager responsible for Membership, Jock MacKenzie has arranged a workshop in September where the former Chief Information & Technology Officer from the Natural History Museum will assist Trust senior management in developing a strategy to overcome the challenges faced by the Trust in terms of a static and aging membership base. A bumper and new format edition with lots of information about all that is going on in the Trust. You need to be a member to receive a copy. Join the Trust now www.wbct.org.uk/get-involved/join-the-trust. 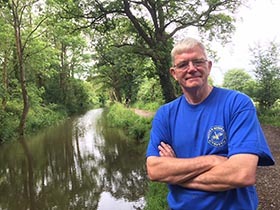 Visitors will see Trust volunteers working on the restoration of the locks, as well as enjoying a pop-up café serving refreshments including tea and cake. Displays will trace the history of the local restoration campaign, including a wide range of photographs showing the impressive progress which has already been made. Full details on how to reach Pewsham Locks are available by visiting www.wbct.org.uk/images/wbct-pdf/Pewsham_Access.pdf9. Try a canal boat trip on the wheelchair-accessible 'Mary Archard' from the Templar's Firs slipway, Royal Wootton Bassett in September. Trips will run hourly starting at 10am with the last departure at 5pm Prices £5 adults, £2 children aged 2-15, and £12 for a family of 2 adults and 2 children. Infants under 2 and not occupying a seat are free. Refreshments available. Bookings can be made by email to steve.bacon@wbct.org.uk. Our Facebook page is a real winner for us in giving us a quick and effective way of communicating with all those interested in the happenings at the WBCT and along the canal... and receiving messages back from our supporters. We are up to 2,316 likes and have a monthly reach of well over 10k. Why not join in and like our page to make sure you get the latest news as it happens. WBCT has a small twitter presence. We are looking for a committed volunteer to help us connect with a twitter audience by working with the facebook team and the website team to increase the range and diversity of our contacts with all those people out there who we know want to support our project. If you are interested in getting involved, please get in touch with patricia.clements@wbct.org.uk. Please support all our social media efforts by liking sharing following and retweeting.